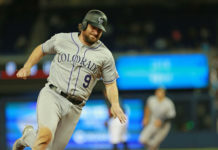 Colorado Rockies second baseman D.J. 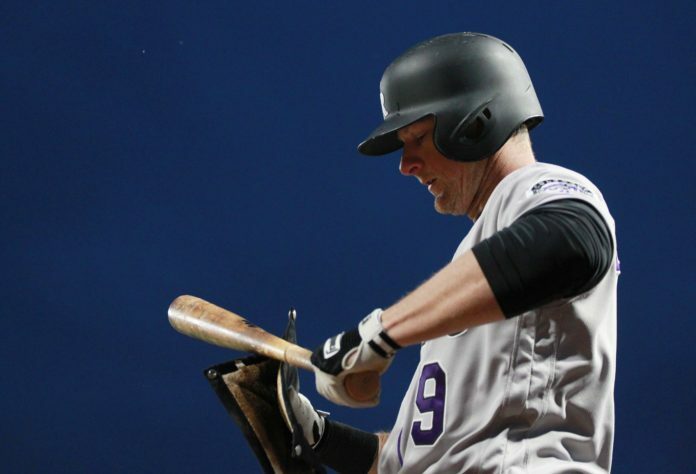 LeMahieu, who left Saturday’s game with a strained right hamstring was placed on the 10-day disabled list Monday, retroactive to April 28. KLeMahieu, who is set to become a free agent after the 2018 season, is one if the bright spots of the struggling Rockies’ offense, hitting .290 with five home runs, 12 RBI to go along with three steals. AT&T SportsNet’s Jenny Cavnar revealed Monday’s lineup against the Cubs in Chicago, with Pat Valaika taking LeMahieu’s place in the lineup. Right fielder Carlos Gonzalez takes LeMahieu’s place on the roster after being reinstated from the DL thanks to a strained right hamstring of his own. Gonzalez has struggled in after signing a one-year deal with the Rockies in the offseason, hitting only .235 with three home runs and 11 RBI.